Very much unlike Apple, LG, Sony, and Lenovo, Samsung normally doesn’t hide the fact that what will it bring out next as we have already heard that Samsung’s upcoming smartphone named Galaxy A8s will house company’s first Infinity-O display. Now, rumors are circulating around suggesting that Samsung Galaxy S10 is most likely to take after Galaxy A8’s design (Infinity-O screen). A bunch of renders shows an image of a full-screen display alongside a small cutout on the top left corner of the smartphone for FaceTime sensor. And based on several online sourced, it’s around 6.7mm wide whereas 2019’s Galaxy S10 would be backed by a similar design with a much tiny hole – 2-3mm narrower. Aside for everything, reports around don’t particularly indicate which Galaxy S10 version will adopt an Infinity-O design. Chances are it won’t be a 5G-enabled version but rather a budget variant with a flat screen on all three. 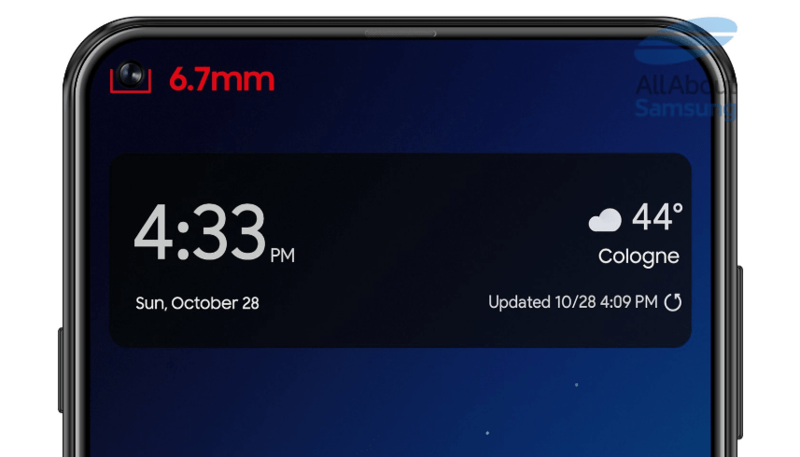 Now Samsung aside for a short while, Huawei is also teasing an Infinity-O-like smartphone screen of its own which will land on shores before Galaxy S10 arrives. It’s also expected that Chinese display maker BOE will manufacture those screens and it seems like that may be indeed the case.